Hello everyone! I am excited and grateful for the opportunity to share some updates with you about what God has been doing this month in ministry! Thank you so much for all your support and taking the time to stay updated on what is going in campus ministry. This month we had our Thursday Night Fellowship gathering twice! One of these nights we met on Valentine's day and had a "Valentathelon" complete with a scavenger hunt and a finish-the-lyrics game! It was so much fun to celebrate and have fun together. More and more I feel like God is forming us into a community that loves and deeply cares for one another and that is a huge answer to prayer. We also have had our weekly core meetings (our weekly small groups) and God has done some awesome things during this time. We are going through the book of 1 Peter and have been talking about topics like what it means to be a new people in Christ and how to live in the new hope we have in Christ. It has been so encouraging to see our students engage deeply with scripture and with one another! I look forward to this time each week and trust that God will continue to speak truth and life during this time! Some of our friends in Core getting dinner together! We also had our Pizza Theology event this month. 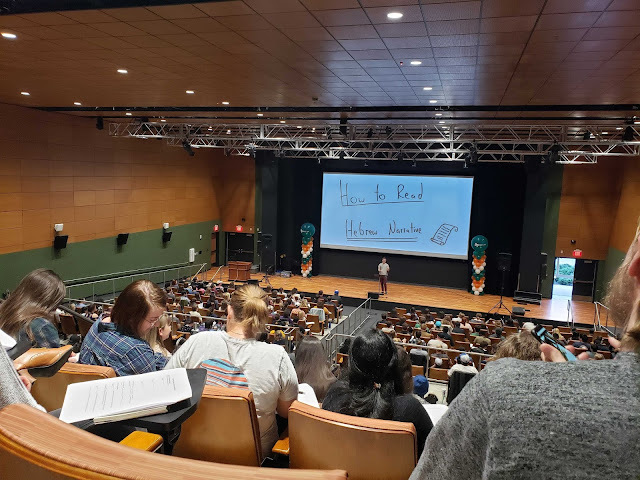 This is a 4-hour block of teaching we do with our students from all the FOCUS campuses over a specific topic, complete with a pizza break in the middle. This Pizza Theology, we talked about the book of Exodus in the Bible! We talked about the structure, content, and application for Exodus in our lives. The students I talked to got so much from the teaching and loved learning about a part of the Bible that was unfamiliar and unknown to a lot of them. Praise God for that! Students at Pizza Theology on Exodus! We are starting to plan our Student Institute for Campus Ministry trip (or SICM) for this summer and are in the process of inviting potential student leaders! This is a week-long trip in Seattle, WA where students learn about how to do campus ministry and be disciples on their college campuses! This trip is huge and helps to train and equip our amazing student leaders to meet and disciple other students on our college campuses. Please pray for the process of inviting students and their decisions on going! Also, be praying for Spring Showcase, our annual fundraiser to help financially support the students going to SICM! You will be hearing more about Spring Showcase closer to the date on April 6th! Mark your calendars! Thank you all so much again for your continued prayers and support. I could not be doing this without your help! Thank you and I am praying for you all! Thanks for sharing, Amber! I love that you guys did a Valentathlon - that was such a fun event back when I was a student at UTD! I am definitely praying for our SICM trip this year. That conference has been a tremendous blessing to our ministry for so many years. I pray that the students who need to be there would be invited and fully funded, and that God would use that trip to give them a big vision for their role as ministers to their peers. Thanks Amber! Keep up the good work!